Now that Claxton is engulfed in November winds and the light is reduced to a blurry subaquatic green it’s time to look back on this glorious summer and remember one or two of its warmer moments. A major high spot was my June visit to the Outer Hebrides including the Isle of Lewis, when we took time to trundle down what is reputedly the longest cul-de-sac in Europe to the tiny hamlet called Breanish. This westernmost part of Britain is the source of all those excellent new magazines EarthLines, ( I cannot believe that issue no. seven was mailed out last week). The publication still seems immensely new and fresh, yet it has already become part of the environmental landscape. a flock of local sheep, two pigs, a cow and some chickens, study Gaelic, grow the best tomatoes I’ve ever seen at latitude 58˚ and also run the fabulous Two Ravens Press (incidentally Taigh nam Fitheach means ‘Home of the Two Ravens’). I think Sharon told me that in some years of TRP they were producing up to 20 books a year! That alone would be a substantial output. Then you have to factor in that the man at Taigh nam Fitheach who slops out the pigs is a poet with two acclaimed collections to his name. 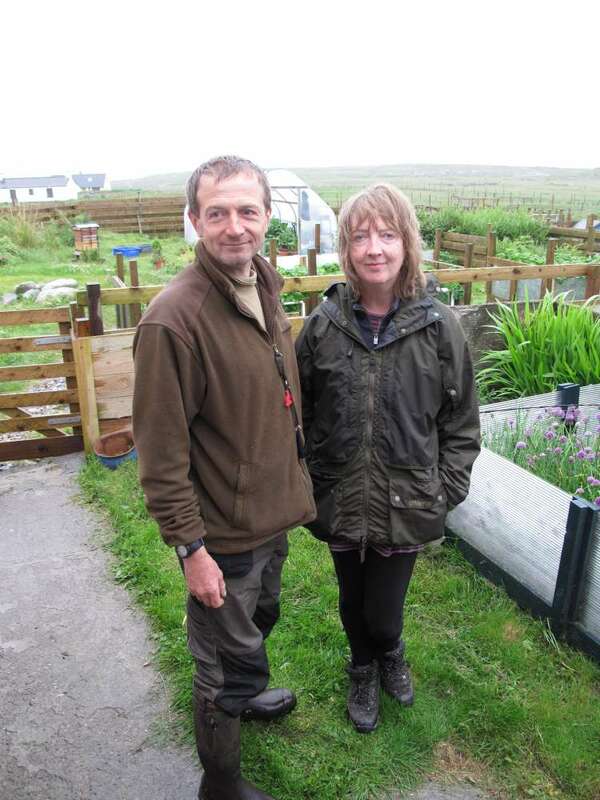 These two people are so embedded in the cultural life of their area you wonder how they find the time also to produce EarthLines, but then there are few distractions at Breanish. 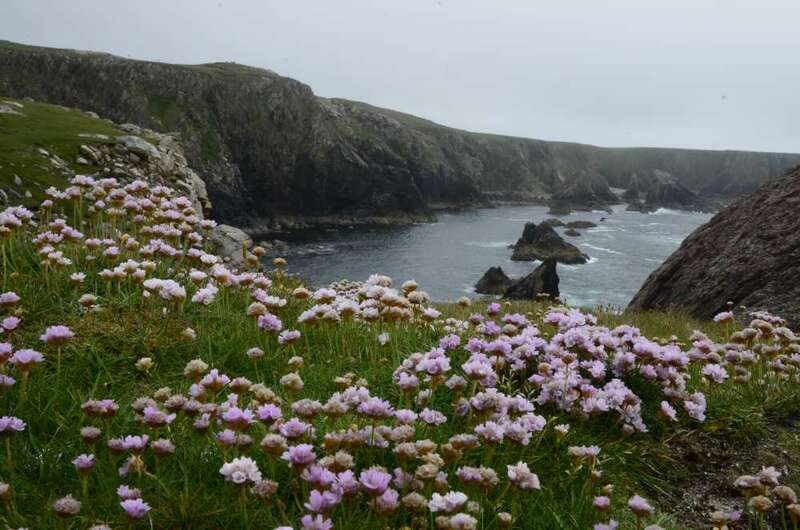 It is located among beautiful, rugged coastal landscapes, covered in flowers and set to the music of skylarks, twite and those distictive Hebridean starlings. Just beyond their boundary fence we could see and hear calling golden plover (surely breeding there) and David tells me that White-tailed Eagles are regular over the garden. Another highlight was the glorious lawn-like sheep-grazed turf by the rocky shore that was studded with tiny plants that are now rare or much sought-after in other parts of Britain. 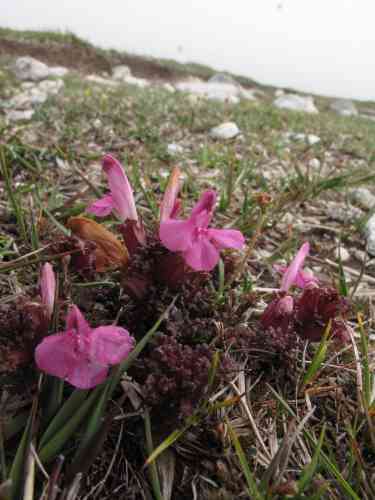 At Breanish they were commonplace – little prostrate blooms like lousewort, bog asphodel, northern marsh orchids and mountain everlasting. Here are two of my favourites (the everlasting and the lousewort) that I photographed when the crofters at Taigh nam Fitheach gave us a conducted tour of their home patch. How can they possibly leave all this heritage? Yet Sharon and David have decided to upsticks and move on, probably to a new croft in Ireland. Spend time with this extraordinary couple and you quickly get the impression that they love a challenge … well, ok, seven challenges simultaneously. 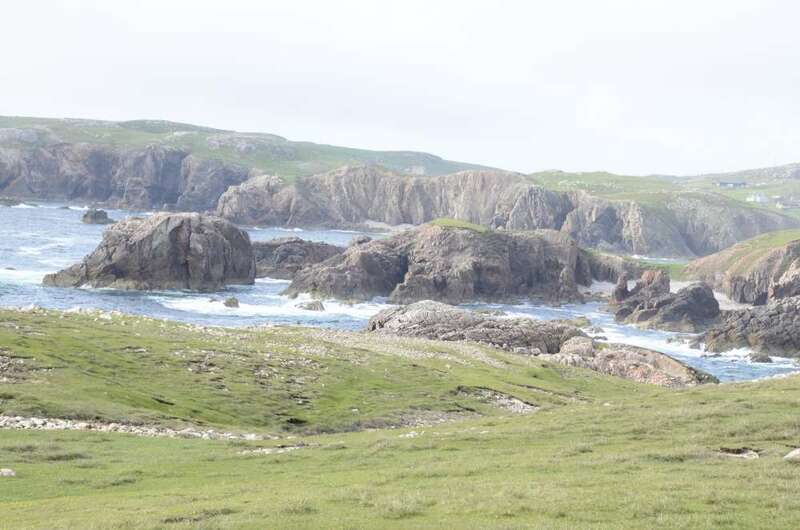 So Taigh nam Fitheatch is up for sale. The details are posted here (http://hebrideancroft.wordpress.com) For £189k it is an astonishing bargain. Yet I cannot bear to think of all that hard work – you should see the barn they have built with their own sweat and labour, not to mention the most comfortable crofter’s parlour you could imagine. But these two ravens are clearly of the migratory kind and they are being lured further west by some inner voice. It would be great to think of Taigh nam Fitheach being occupied by people who wish to continue all that has been initiated at Breanish. It’s a tall order. It’s also a great opportunity.